The waning crescent just before 04:00am this morning. 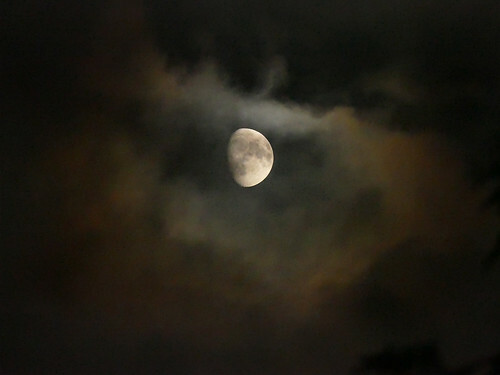 First sight of the moon for a while and a few clouds around to obscure the view. 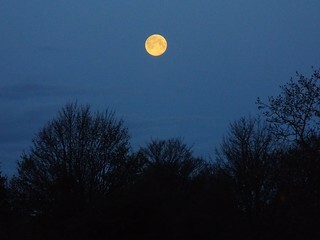 Waning gibbous at approx 01:15 this morning. Just after last quarter but have to make the most of any clear night sky! 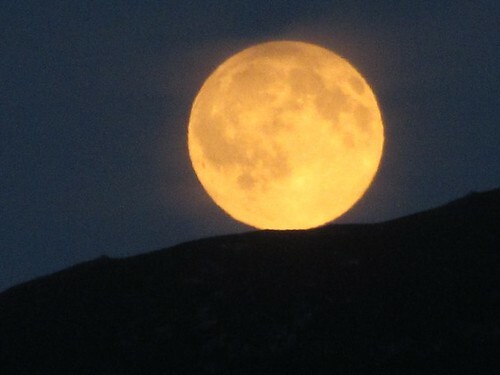 You do get some great moon shots, Alf. I know what you mean about clear nights... they are few and far between at the moment! Waning Crescent at about 04:30 this morning. Don't know why it came out this colour - shots either side did not have the colour cast but it is rather funky which is why I've posted it. 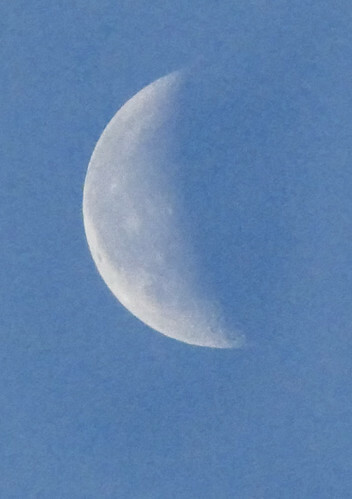 Got this one this morning of the waning crescent. This wasn't tonight but around the end of October - a combination of being a bit lazy and having to setup a new PC has delayed me. Wow! That's an amazing amount of detail, Dave- I can even see the 'rays' coming off the craters. What sort of telescope did you use? Thanks folks. No telescope RowanB. It was taken with a 55-300mm zoom on my DSLR. 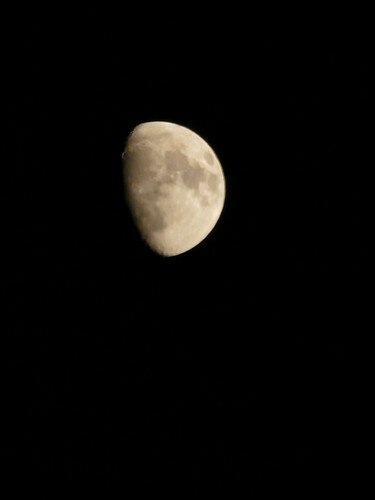 The lens was at 300mm but that is too short for the moon so it has been heavily cropped too. The details are f11, 1/200s, ISO160, with the mirror locked up and the shutter released by the self timer to help reduce vibration. It was a still night which helped a lot as even a slight breeze can cause some movement. It is not as sharp as I would like but it could be due to, even with the conditions, some movement and the lens is probably a bit soft at the top end of its zoom range. Not very sharp, (had the camera on the wrong setting so it's too grainy ) but I liked the way the moon was giving the clouds around it a strange orangey glow. 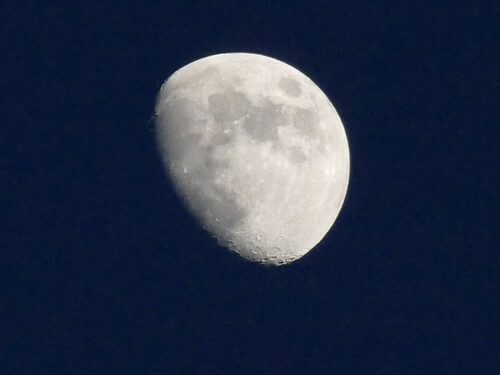 Haven't uploaded a moon photo in awhile, so I thought I'd take a few last night... it will be full next Monday.